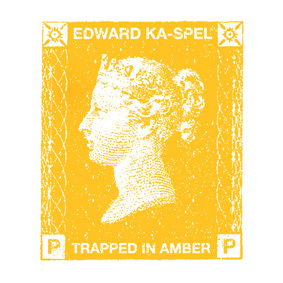 Does Edward Ka-spel need any introduction? Frontman of The Legendary Pink Dots, solo artist, member of Tear Garden and a fine man for fine music. On Korm Plastics we released the LP 'DNA Le Draw Dkee' a long time ago, and ever since Edward wanted to do another one. Here it is, a fine succesor to 'The Painted River of Regrets', two pieces of melancholic, ambient based music. Entirely instrumental. Cover design by Rutger Zuydervelt (Machinefabriek).